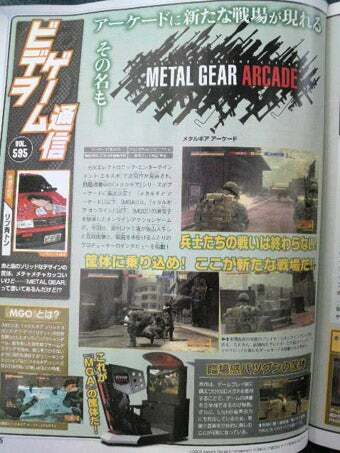 Announced at E3, Meta Gear Arcade is slated to come to Japanese arcades this year. This week's Famitsu magazine has a short piece on the game — few, if any, new details, though. The game is an upgraded version of PS3 title Metal Gear Online with a special added feature: 3D Googles. The shooter connects arcade players from across Japan via Konami's e-AMUSEMENT.